Even if you don’t need corrective lenses to see clearly, you should have a comprehensive eye exam at least every two years to monitor your eye health as well as your visual acuity. 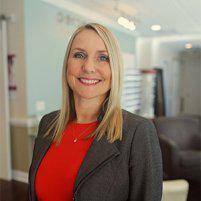 Tara Parnell, OD, provides comprehensive eye exams for your whole family at Perceptions Eye Health and Wellness in Southport, North Carolina. If you or a member of your family is due for an eye exam, call Perceptions Eye Health and Wellness or make an appointment online today. Everyone should have regular eye exams, regardless of whether you need corrective lenses. If you wear glasses or contact lenses, you should have a comprehensive eye exam annually. You can have your eyes checked every two years if you don’t wear corrective lenses. After the age of 60, whether you wear glasses or not, you should have annual eye exams as you’re at a higher risk for ocular diseases such as macular degeneration, dry eye, and glaucoma. Your children should have their first eye exam around the age of 6 months. Unless they show signs of poor vision, you can wait until they turn 3 years old for their next eye exam. Many disorders can be corrected if diagnosed early, so it is important to have the eyes examined as an infant even if there are no signs of problems or any family history of eye problems such as lazy eye or poor vision. Children should also have an eye exam around the age of 5 and then every two years while they’re in school. If your child wears glasses, they should have annual eye exams. You may associate the Snellen eye chart and reading the smallest possible line of letters with getting your eyes checked. While this chart is a valuable tool for measuring your visual acuity, Dr. Parnell also examines your eyes for signs of disease and degeneration. Dr. Parnell usually begins with a series of tests to examine your eyes for signs of disease. She uses the slit lamp test to shine a light into your eyes, allowing her to study the front and insides of your eyes for signs of cataracts, macular degeneration, and retinopathy. Dr. Parnell also administers a glaucoma test to measure the pressure in your eye. Dr. Parnell examines your retina using state-of-the-art digital retinal imaging and optical coherence tomography (OCT). These advanced digital tools reduce the need to dilate your pupils, which can add 20-40 minutes to your appointment and cause disorienting side effects. Help detect disease early, sometimes before vision is affected, which helps ensure healthy eyes and vision for a lifetime. While measuring your visual acuity, Dr. Parnell tests your eyes individually and then together. If you need corrective lenses, you’ll look through a device while she changes lenses and asks you which options are more clear to precisely identify your prescription. Call Perceptions Eye Health and Wellness or schedule eye exams for your whole family online today.